Here is something very special that I really needed to share with you, as you know by now I have a real affection for all things Dermalogica, and this week I was fortunate to be invited to the Dermalogica HQ for a facial testing out the Ionactive Power Treatment, this treatment is relatively new and available for the last 2-3 months. 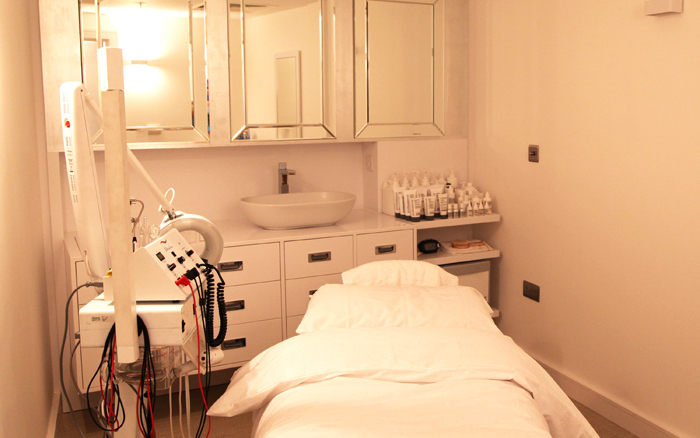 Set in leafy Surrey Countryside, this is where the training takes place for Dermalogica Therapists and consultants. Once checked in and after completing a fairly sizeable questionnaire I was greeted by my therapist/trainer Sam, who I have to say had the most amazing skin on the planet and the biggest smile to match. My treatment started with Sam removing my make up with a double cleanse I did think I should arrive bare faced, but didn't want to scare anyone so opted for a bit of a face. Sam then proceeded to do an exfoliation, which actually surprised me a little I was expecting full on grains and a good scrub but no, she mixed a little micro exfoliant with her professional product and proceeded to apply, explaining that our usual exfoliating treatments can only work so far in removing dead skin cells, where as this treatment can go a lot deeper than anything you use at home, a very slight, not unpleasant tingle all the while Sam checking I was happy and that everything was ok, this was removed and the Ionactive Power Treatment started, there are four types of treatment in this range dealing with skin ageing, uneven skin tone, acne and/or dehydration. pigmentation again due to too much sun. I was pleasantly surprised by this, as it would have been easy to opt for the obvious anti age, this girl knows her stuff ! There were so many stages to this I couldn't possibly explain them all, layer after layer of different products were applied, using a variety of techniques ensuring they reached deep into the skin, in no particular order these included finger massaging, hot stone massaging which was my first experience of that delight :) and what I think are the stars of the treatment the micro current ( little probes that send micro currents into the skin ) sound scary but just feel like another massage and led light treatment, your eyes are fully protected while the LED light hovers over your face ensuring deep down penetration, while the technology was doing its bit Sam massaged the back of my neck sending me into almost a coma. The gels were whisked away I was treated to Serum,eye cream, SPF Moisturiser and a huge sigh of contentment. In the dimly lit room all snuggled and cosy I could have stayed for the night, Sam left me to get dressed and said she would be waiting outside at the skin bar for me. Once dressed and outside I had the first look at my face, apart from it feeling super clean and literally bouncy to the touch, it looked brighter and way more relaxed than when I entered, I was instructed to leave everything in place for the night. At this point Sam showed me my face map and explained which areas needed which treatments, she also prescribed the products that I need to best suit me. If you are a fan of Dermalogica or just treatments I would 100% urge you to experience this Ionactive Power Treatment as there is nothing you can do at home to rival it, my skin was fabulous in the morning and I was sorry to cleanse the products away. The whole experience was fantastic I came away with not only great skin but the feeling of well being and relaxation was priceless. 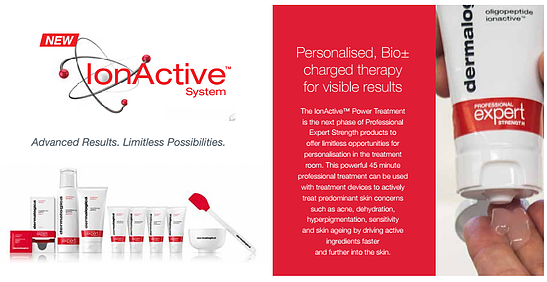 Ionactive is available at Dermalogica Salons. I have reviewed a few Dermalogica products which can be found using the search bar on the blog.